The LUCAS® 3 chest compression system has improved features to facilitate maintenance and handling and allows for new insights through easy, wireless access to device data. This revolutionary chest compression system is designed to help improve outcomes of sudden cardiac arrest victims and improve operations for medical responders. Performing 102 compressions per minute with a depth of 2.1”, LUCAS can be deployed quickly with minimal interruption to patient care. Every Trinity ALS ambulance is equipped with a 731 Series EMV+ portable ventilator. It is uniquely designed to meet the needs of military and EMS users in the U.S. and around the world. This transport ventilator is easy to operate in the most challenging environments. The ZOLL EMV+ is designed to support the operator, no matter his or her background, during all phases of enroute care. Every Trinity ALS ambulance is equipped with the McGRATH™ MAC enhanced direct laryngoscope (EDL). This device that combines the benefits of both direct laryngoscopy (DL) and video laryngoscopy (VL). Each Trinity vehicle is equipped with this rugged laptop. 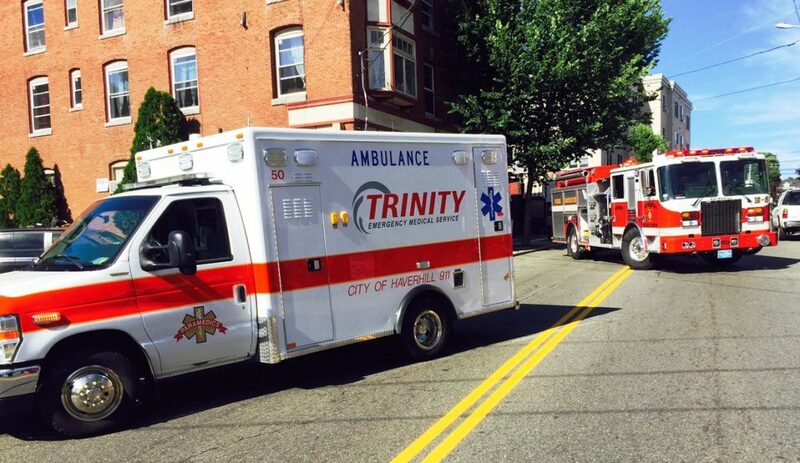 This technology allows Trinity to maintain a wireless connection to each vehicle and supply each ambulance with critical information like real-time directions, patient information and call updates. Equipped with a complete patient database, crews can input data directly, which saves time and eliminates human error. All information is housed in a secure database, ensuring Trinity’s compliance with HIPPA policies for patient confidentiality. Based on a platform designed for the military, this powerful device provides clinically superior therapeutic capabilities with advanced monitoring to provide optimal CPR support.